What Boots should they have? Primarily the most important piece of ski equipment for any skier or snowboarder. For Children it is important to make sure that they are snug, but that they don’t have any pressure points . 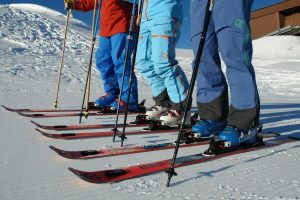 If you are buying ski boots for them, then please check what you need to know before doing so. 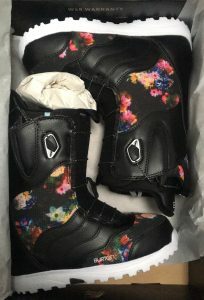 Boots should be done up tightly so that they have the most control when skiing, and this also prevents injury and discomfort from rubbing in the boot. Check that they only have their ski socks in the boot (thermals are tucked up) to make sure there are no wrinkles. Children’s Skis – which should they have? The wrong set of skis or snowboard can ruin anyone’s holiday, especially if they are too stiff or difficult to turn. Speak to the staff at the ski shop and discuss with them your child’s level, where they like to ski and their temperament. If they aren’t with you, make sure you know their height and weight, because these factors are all needed if you want to get the correct skis. Typically speaking, a shorter set of skis is easier to turn, so perfect when you are learning and need to snowplough. As you get quicker you need to progress onto longer skis to keep stable. 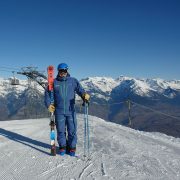 A narrower ski is best for piste and fatter is good for off-piste and variable snow. This is the same for snowboards, with the bindings changing direction dependent on the factors outlined above. Ultimately, the best plan is to know the above answers, and to speak to the people in the know. 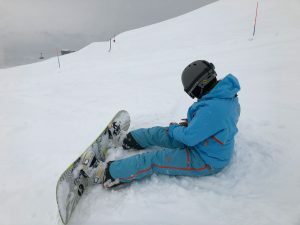 There isn’t a steadfast rule for what age children are ready for poles, but it is usually once they can ski a blue run and are able to carry them without hindrance. Poles should be measured when in normal shoes, take the poles upside down and hold them below the basket. Their elbow should be at a 90° angle. Too long or to short, and it can affect their skiing, and make them awkward to carry! 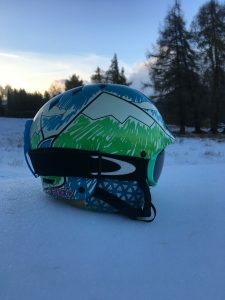 What kind of Helmet should my children have to ski in? This is the most important piece of equipment for anyone on the slopes. It must fit correctly, else it will not protect your noggin. If you are renting, it can be a good idea to get a liner so that it is a snug and comfortable fit. Make sure yours fits, and is ready for this winter. 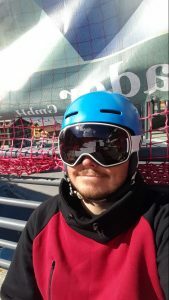 Which Goggles are best for skiing? There are many sizes and shapes of goggles in both adult and junior options. Before you look at lens and colour options, you must find some that fit on your face perfectly. And check this is the case with your helmet on! Any gaps will let wind in, and any pressure points will hurt. Once the fit is comfortable then look at the lens options. On your first trip, something all-round will be perfect, although the best option that we would advise would be one reflective and one fog/ low light lens. Make sure your children know not to touch the lens, even if they are wet or fogged up as they run the risk of scratching them. We strongly advise children wear a back protector. They come in a variety of materials and sizes, and some are so comfy and warm, they just feel like an extra layer. To size them up, you want the length to be from the coccyx to in between your shoulder blades. Too long or short will be a lot more noticeable and offer less protection. 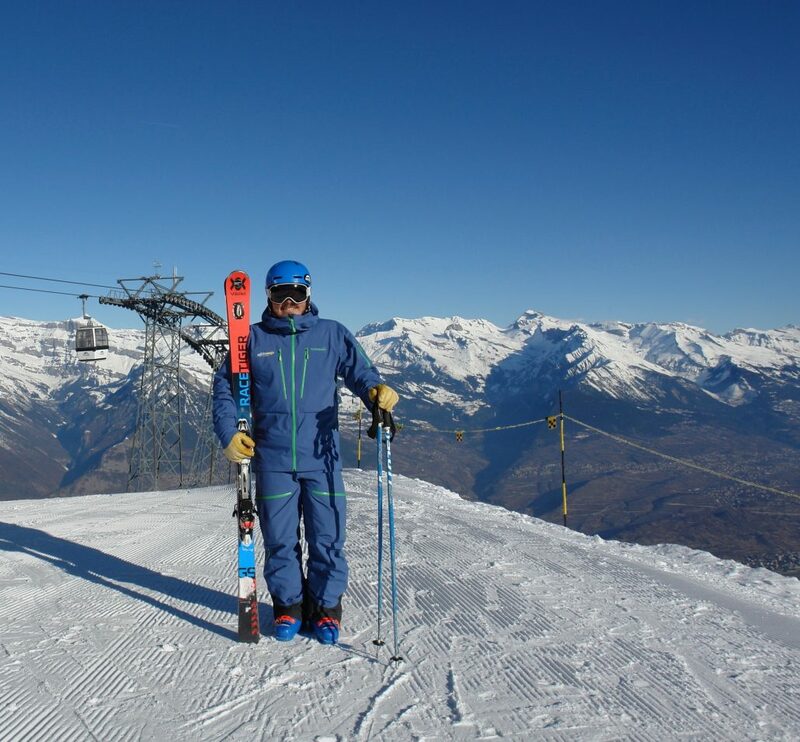 Get your winter rentals sorted in Nendaz with our partner, Mariethoz Sports.